In 2012, the Denver Scholarship Foundation's development director left unexpectedly just a few months before the organization’s signature annual fundraising event, EdGala. Fortunately, the Denver Scholarship Foundation (DSF) had two capable junior-level development professionals on staff. DSF hired Kathie Kramer Ryan to lead development efforts in an interim capacity, including mentoring the two junior staffers, until a new development director was hired. During the five-month project, Kathie dynamically and successfully mentored and supported DSF's junior development staff. She guided and assisted the DSF Event Committee to ensure EdGala raised the targeted goal of $1.7 million through robust event sponsorships and table sales. Kathie energetically worked with staff on pre- and post-event follow-up, logistics and sponsor recognition and stewardship. Kathie was a guiding force on best practices to maximize sponsor engagement. (See blog post on Maximizing Event Revenue.) These activities were critical to the success of the event and – as important – provided important professional development and stability for a staff in transition. 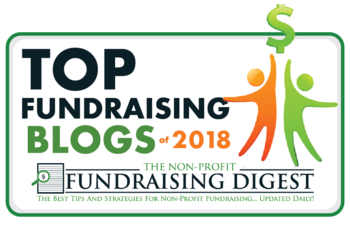 In addition to event management and fundraising, Kathie maintained, developed and boosted DSF’s individual giving program – establishing a timeline for solicitations, prioritizing donor cultivation steps, and implementing cultivation activities. She led staff in developing a fundraising plan and framework to meet 2012-13 fundraising goals. Kathie thoroughly briefed DSF's new development director after she was hired to ensure a seamless transition.